Bruges is the chocolate city par excellence. 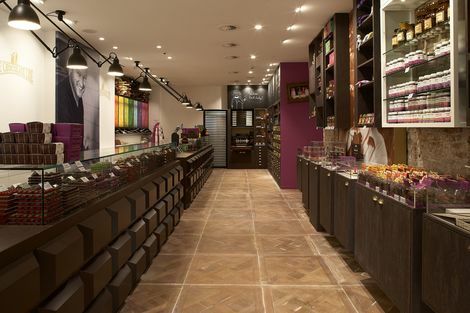 The city has more than 50 passionate chocolatiers and acts as a genuine chocolate laboratory. This is a place where established names and fresh up-and-coming talent complement each other. 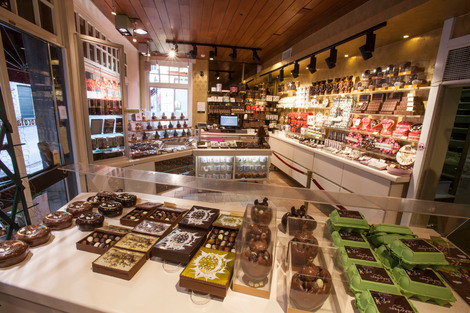 In Bruges you can both sample the traditional chocolate craft and boundary-pushing chocolate creations. 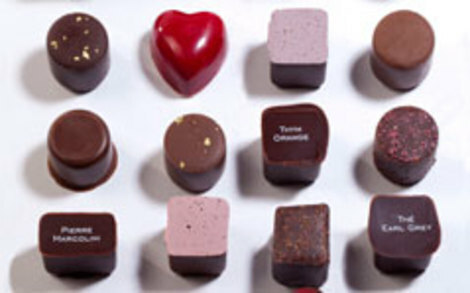 The presence of so much creativity raises the quality of Bruges chocolate to new heights. Nowhere in the world will you find better chocolate. 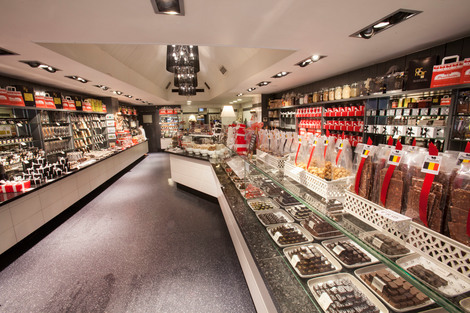 The Chocolatier Spegelaere is described by connoisseurs as Bruges' best-kept secret. For some 20 years, the Chocolatier Roose has been the place to go for anyone who wants a wonderful slab of chocolate. 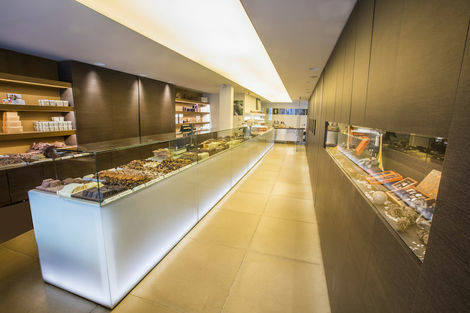 Every bit as special is the brainchild of Stephan Dumon, the Chocolaterie Dumon. This story begins in the chocolaterie Vinerande where a young man, Guy Bastenier, was assisting his uncle in the workshop and learning the tricks of the trade there at the start of the 1960s. This family company, today run by Françoise Thomaes, impresses through an extensive assortment of chocolate, a fine range of artisanal cookies and gingerbread and a collection of pralines that associates the two.Those with a sweet tooth will immediately also take home a stock of home-made marzipan or truffles and no one can spurn the world-renowned chocolate milk here. 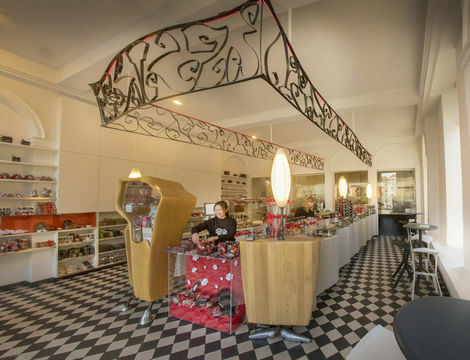 The tight, contemporary interior suggests otherwise, but the Chocolaterie Depla was established in 1958 and indeed by the father of Pol Depla who runs the establishment today. Sukerbuyc is the point of reference in Bruges and the surrounding area. Dominique Persoone, the man who runs The Chocolate Line, is a legend both at home and abroad. This story begins in Ypres in 1933 and shifts to Bruges in 1950. Pierre Marcolini is a concept in Belgium and far beyond. This family business sells hand-filled chocolates made of fine, dark chocolate, without adding sugar. 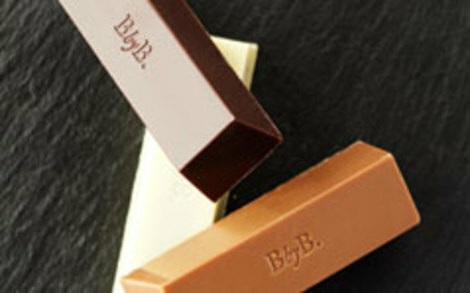 Top chef Bart Desmidt of Michelin-starred restaurant Bartholomeus has created the BbyB chocolate line with the inspiration and vision that typifies him.